Elizabeth Warren is accusing President Obama of again putting Wall Street regulation in the hands of Wall Street insiders. This time, she's blasting his nominee for a top Treasury post that oversees U.S. banks and financial regulations. The Massachusetts senator says Antonio Weiss, a banker with expertise in international deals, is unqualified for a domestic-focused role, and has even recently worked on deals that rip off U.S. taxpayers. 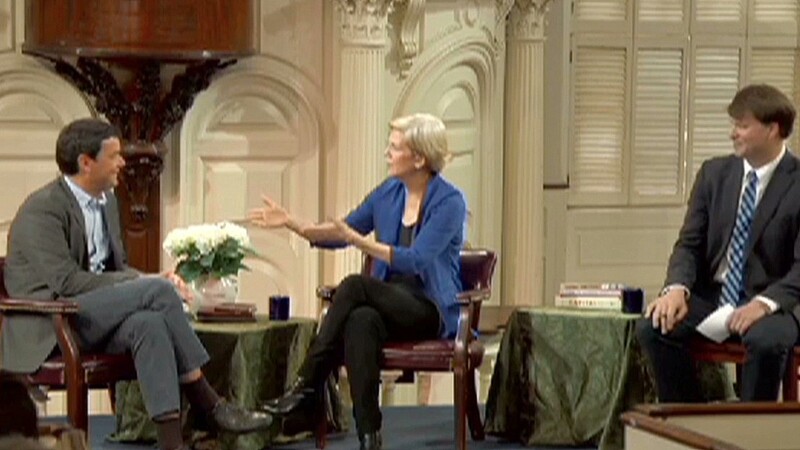 Critics lambasted her for political grandstanding, and on Wednesday, Team Warren fired back. "Weiss supporters keep insinuating that the undersecretary position is too technocratic and complicated for anyone else to understand, but that's hogwash," an aide to Warren told Politico on Wednesday. "Weiss has no background in these areas, and it's lazy to assume without a critical look that any generic Wall Street executive is up for the role," the aide continued. Chief among her critics is New York Times columnist Andrew Ross Sorkin, who this week concluded her "wrath is misdirected." In his column on Tuesday, Sorkin sought to methodically deconstruct her arguments. Sorkin pointed out that the Treasury job required "deep experience in the capital markets and global relationships," which made Weiss' Wall Street experience useful. Plus, Weiss' worked at Lazard, not one of those banks criticized for a role in the global financial crisis, Sorkin wrote. Among Weiss' work at Lazard was a deal where he helped Burger King (BKW) merge with Canada-based Tim Horton's to save taxes. In a Huffington Post op-ed outlining her opposition to Weiss, Warren called it "hypocritical" for the White House to oppose inversions but nominate Weiss given his work in this area. She doubted the White House argument that Weiss is personally opposed to inversions designed for tax purposes only. "Really? Did he work under protest, forced to assist this deal against his will?" she penned. "Did he speak out against tax inversions? Did he call out his company for profiting so handsomely from its tax loophole work?" She concluded, "The claim of personal distaste is convenient, but irrelevant."